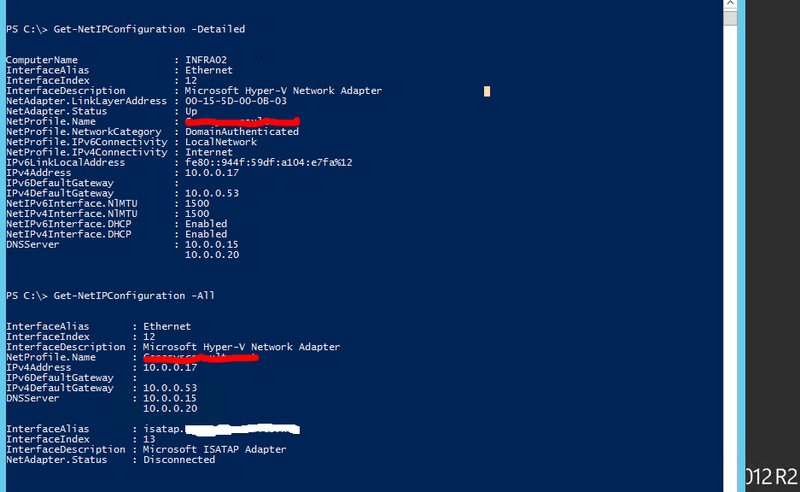 Configuring Network Adapter TCP/IP Settings using Powershell 4.0 Cmdlets . | Chinny Chukwudozie, Cloud Solutions. 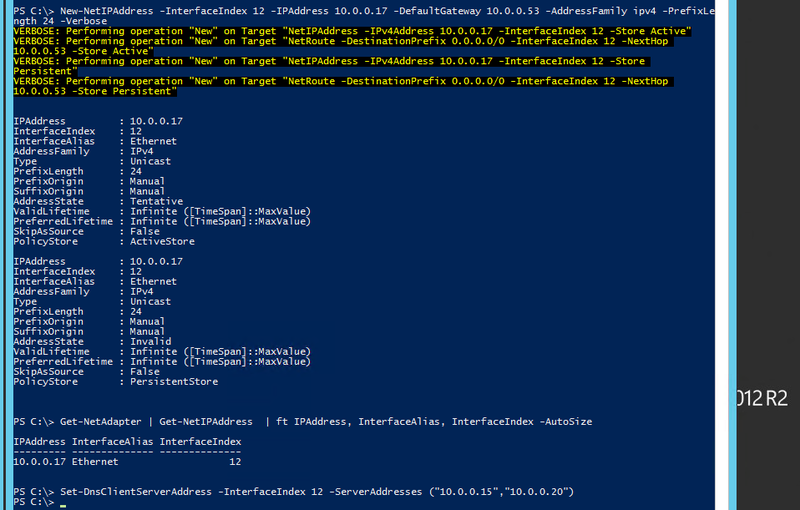 ← Configuring NIC Teaming on Windows Server 2012 R2 using PowerShell. 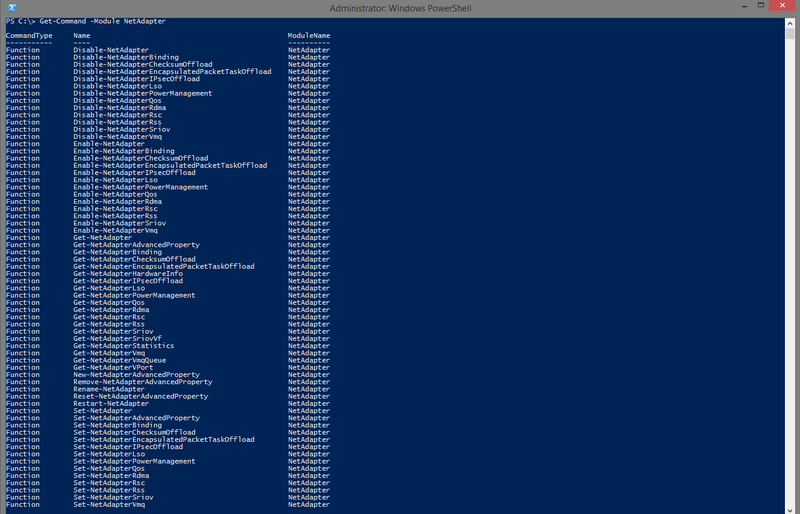 PowerShell 4.0 is a requirement for these cmdlets to work.The GUI( Graphic User Interface) is commonly used to configure network adapter settings or the good old netsh command. 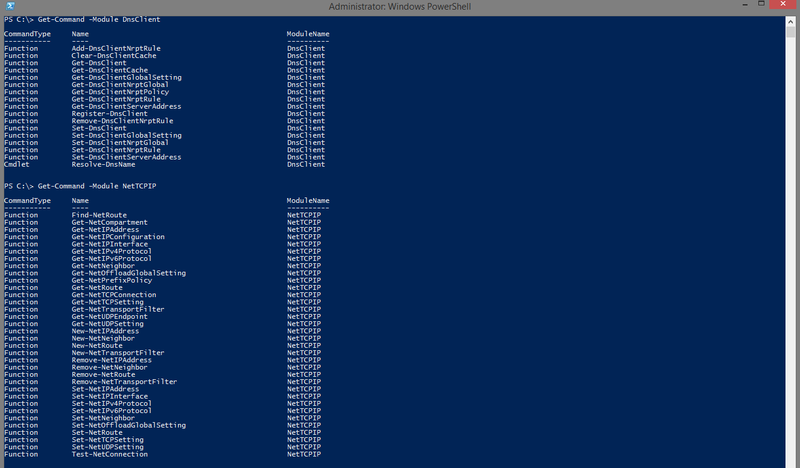 But if I had to work with Hyper-v core or Windows Server 2012 R2 core, there’s a number of PowerShell cmdlets that could be used in place of the above mentioned tools. 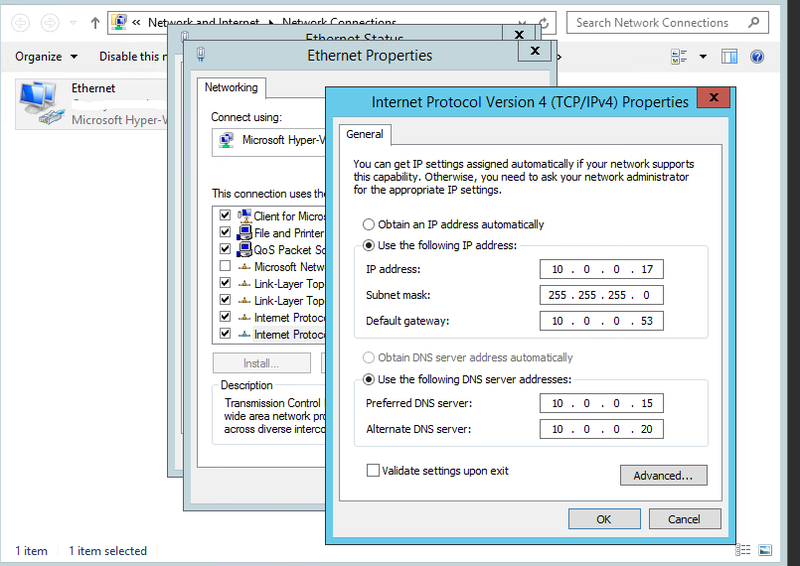 This entry was posted in Hyper-v 2012 R2, PowerShell, Powershell 4.0, WIndows 8.1, Windows Server 2012 R2 and tagged Cmdlets, Default Gateway, DNS Client, Network Adapter, Static IP Address, TCP/IP. Bookmark the permalink.